The Yankees need for a middle infielder is paramount, with Didi Gregorius still shelved for a still undetermined period of time; and, lest we forget, this is also his last season of team control. Brian Cashman and Co. are meeting today with the best available option to fill that hole – both now and long-term – in Manny Machado. Given the competition for his services and whatever payroll restrictions the Yankees have, however, the likelihood of Machado signing on the dotted line feels lower than most anyone would like. As such, it makes sense to dig into the next tier of middle infield options, even if that would mean shifting Gleyber Torres to short. 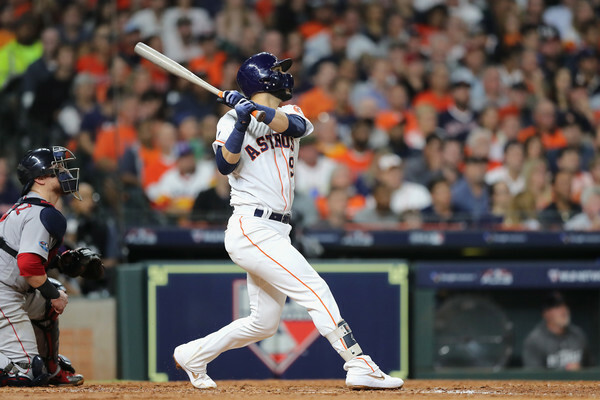 And so, without further ado, let’s talk about Marwin Gonzalez, DJ LeMahieu, and Jed Lowrie. I would not argue that Gonzalez is a bad player; far from it, in fact. He has a great deal of value as a player that offers a league-average bat and sound defense all around the field, and his pop and recently found on-base skills should not be discounted. I would just urge caution with anyone that compares him to Ben Zobrist – the standard-bearer for this role – as Zobrist’s track record was eight years of strong production (124 wRC+ from 2008 through 2015) before he hit free agency. Of course, a utility player doesn’t have to be Zobrist to be worth a spot on the roster. I just believe that our expectations should be more in-line with Gonzalez’s 2018 (or 2014 and 2015) than 2017. But I’ve digressed enough. There is one caveat to those numbers: Gonzalez has gotten progressively worse at shortstop over the last two years (-6.5 UZR, -8 DRS), so I wouldn’t count on him being anything more than below-average there. However, I do think he can be counted on to be more than passable at second, which is the position at issue, as well as first – which would help his fit once Gregorius returns. So what we have here is a league-average (or slightly better) switch-hitter with average-ish defense at a position of need (if not two). What’s the going rate for that? MLB Trade Rumors projects four years, $36 MM, whereas the FanGraphs crowd foresees three years, $30 MM. There’s no qualifying offer consideration here, so it’s just cold hard cash for Gonzalez’s services. Is there hidden value here, though? Something that can be tapped into by a move to Yankee Stadium, perhaps? The answer is … not really. Gonzalez is more of an all fields hitter from the left side of the plate, so the short porch may not help him as much as you’d expect. That’s not necessarily a bad thing – but he’s not the sort of player that stands to take serious advantage of the park’s dimensions. With all that in mind, I think Gonzalez is a good fit for the Yankees. The price seems reasonable, and there’s the off-chance that he has another big season or two in his bat. And, as a baseline, we know he can handle at least three positions well-enough, and he’s a better hitter than the vast majority of utility players. He’s also still in his prime, so we shouldn’t have to worry about decline for another two or three years. 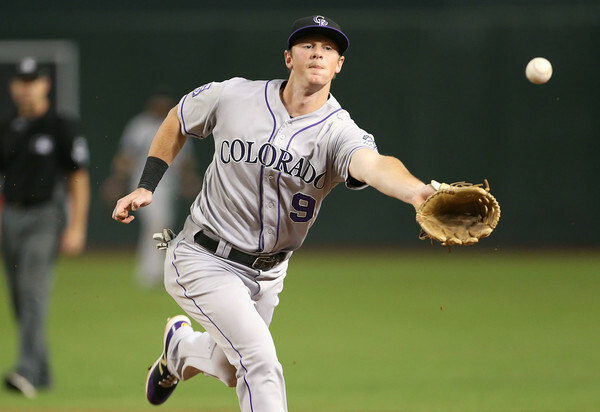 LeMahieu has been a full-time player since joining the Rockies for their stretch run in 2012, and has spent the vast majority of his time as the everyday second baseman. He has won three Gold Gloves in that time, including back-to-back wins in 2017 and 2018, and there’s no doubt that he is one of the premier keystone defenders in all of baseball. LeMahieu averages +4.6 UZR/150 and +11.6 DRS/150 for his career, and is coming off of his best season by both metrics. If the Yankees want to make sure second is in good hands while Torres mans shortstop, there might not be a better option out there. But what about his bat? At face value, the right-handed LeMahieu has the look of a quality contact hitter. He has slashed .298/.350/.406 in 3799 career plate appearances, and his strikeout rate of 15.2% is among the best in the league. Here’s the rub: he’s a Coors Field guy. LeMahieu is a .329/.386/.447 (96 wRC+) hitter at Coors, and a .267/.314/.367 hitter (84 wRC+) everywhere else. Put that together and you have a guy with a 90 wRC+, who has just one season (2016) where he posted a wRC+ that was better than league-average. His high-contact approach pays dividends at high altitude, but makes him an empty batting average guy elsewhere. The 30-year-old LeMahieu, then, isn’t all that different from the all-glove, no-hit options that Mike mentioned as possible fill-ins at shortstop. Is there really much difference between an elite defensive second baseman with an 84 wRC+, and Freddy Galvis – an elite defensive shortstop – and his 77 wRC+? I don’t think so. To summarize, LeMahieu is a right-handed hitter that doesn’t offer pop or big-time on-base skills. His defense is great – but that’s basically all of his value. And most projections see him making eight-figures per year for two or three years. That’s a hard-pass for me. 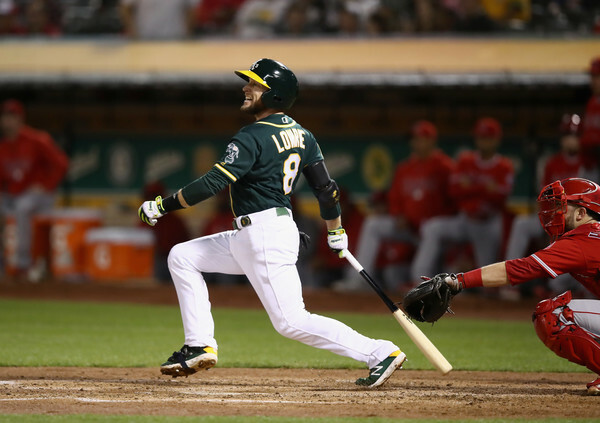 The switch-hitting Lowrie has also shown a starker platoon split these last two years, slashing .255/.336/.393 (102 wRC+) against lefties and .278/.364/.498 (128 wRC+) against righties. That may not be ideal, but it isn’t a deal breaker, either. And being above-average against righties and average against lefties is better than the opposite, given that far more plate appearances will come against righties. Offensively, then, Lowrie looks quite good. He walks at an above-average clip, hits for power, and doesn’t strike out all that much. And he’s done this in the unfriendly environs of Oakland, to boot. So what about his defense? That kind of looks like a learning curve, doesn’t it? Lowrie played around 400 innings at the keystone prior to 2016, and it showed. Since then, however, he’s been somewhere between average and an asset thereat. He’s in his mid-30s now, so he might be closer to average (if not a tick below) sooner rather than later – but I think he’s a safe bet to be reliable there. As was the case with Gonzalez and LeMahieu, there are no draft pick considerations – it’s just cash. MLBTR projects three years and $30 MM, and FanGraphs prediction two and $24 MM. The age is disconcerting, as is the injury history (particularly when taken in conjunction with his age), but Lowrie somehow feels safe enough to me. I would rather have him for two years than three, though. And if it comes down to Gonzalez or Lowrie, I think it’s an intriguing debate to have. Gonzalez offers comparative youth and way more versatility, but Lowrie was much better last year, and is probably a better hitter and defender at second. If I had to choose, I might go with Gonzalez, if only because he can be a bench asset once Gregorius returns to the fold; Lowrie is all but limited to second (and maybe third). These are definitely the two best options on the market this side of Machado, though, and I’d be happy with either.